The 14kt white gold Passion heart pendant is the size of a dime. 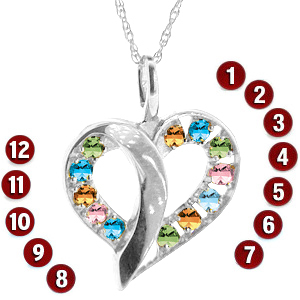 Select a color for each genuine birthstone. Each round brilliant stone is 2mm diameter. This item includes a matching 18-inch rope chain.